Corporate FunRun 5K: We ran, we walked, we danced, we laughed! 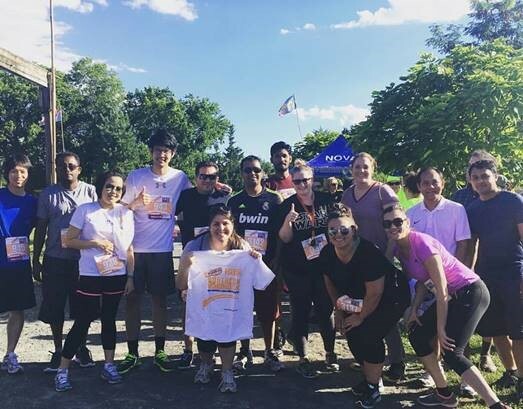 Last month, VIU participated in our first Corporate FunRun in Chantilly, VA, and our team had a great time! Thank you to all of the staff members who participated this year. We are happy to announce that we raised money for the Leukemia & Lymphoma Society AND we won Second Largest Team! We can’t wait for next year! Congratulations to Takaki Matsumoto for being VIU’s top runner and for placing in the top 50 male runners (out of 142) in just under 32 minutes.